Be a good friend. A really good, loyal, caring, honest and truly fabulous friend. Being a good friend means many things. 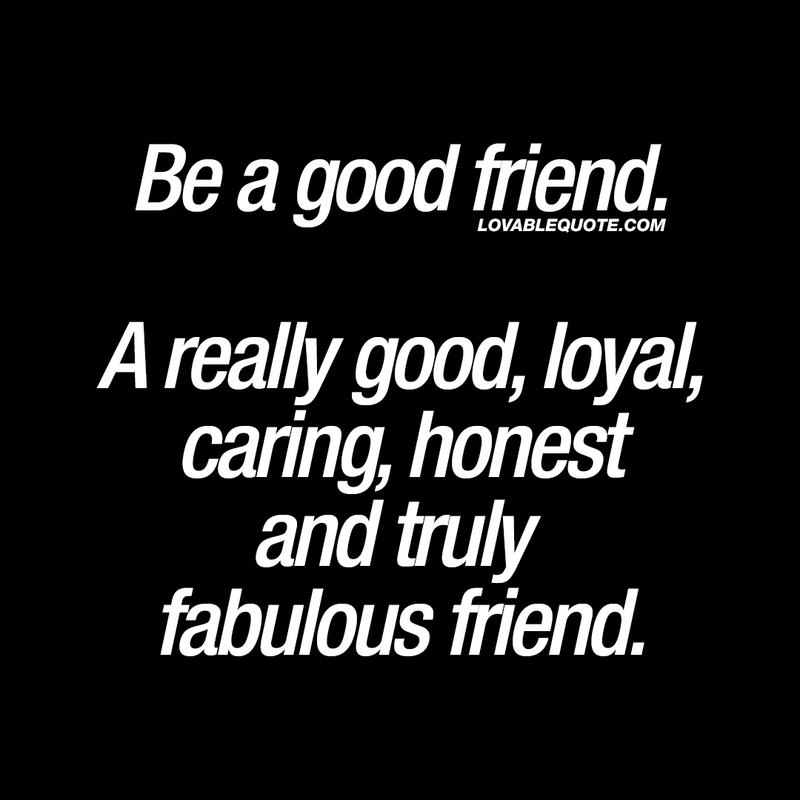 But being loyal to your friend, to care about him or her, being honest and simply being a truly awesome and fabulous friend are probably some of the most important things. Enjoy this brand new friendship quote from us here at lovablequote.com! This quote (picture and text) is copyright © Lovable Quote 2017.